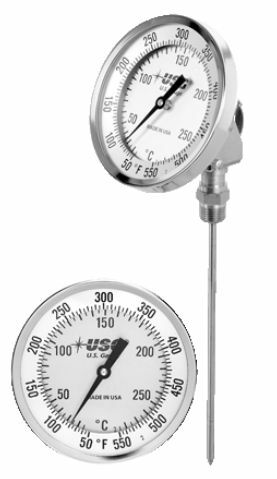 The US gauge offers heavy duty, industrial bimetallic thermometers that are 3” and 5” and with an adjustable stem. This should facilitate easy viewing from absolutely any angle. It is possible to rotate the head over a 360º angle. The stem moves through a 180º position. 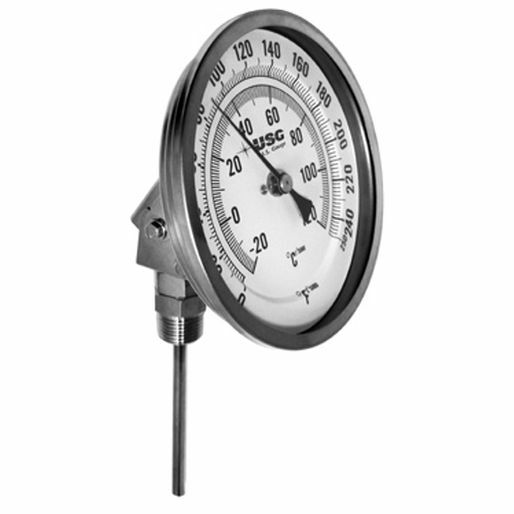 Offshore, power, pharmaceutical, and chemical industries prefer such rugged thermometers. 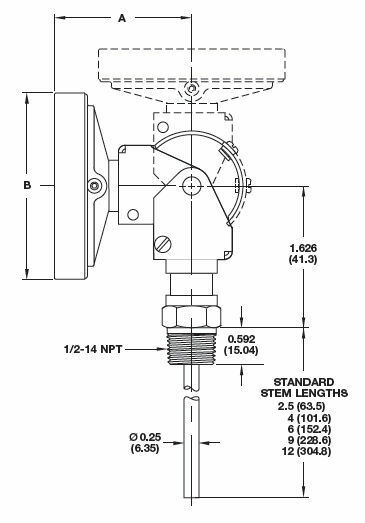 The union connection is 1/2-14 NPT, but optionals are available. The thermometers can be filled with silicone to ensure additional dampening of vibrations. The available lens materials include acrylic, polycarbonate, and shatter-proof and tempered glass. 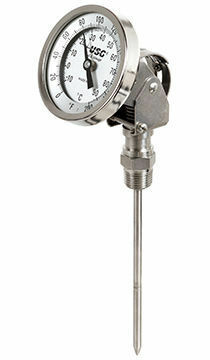 The standard stem diameter is 0.25”. Other available stem sizes are 0.24” (6 mm), 0.32” (8 mm), and 0.375” (9.52 mm).